Security Testing Services | BlackHatWing, Inc.
70% of the world’s population has access to mobile devices, and smartphone adoption is at its peak. Considering this, mobile apps are becoming increasingly popular, and a staple to more & more business solutions. It’s vital to manage & ensure performance of your app across multiple operating system, device models and platforms. 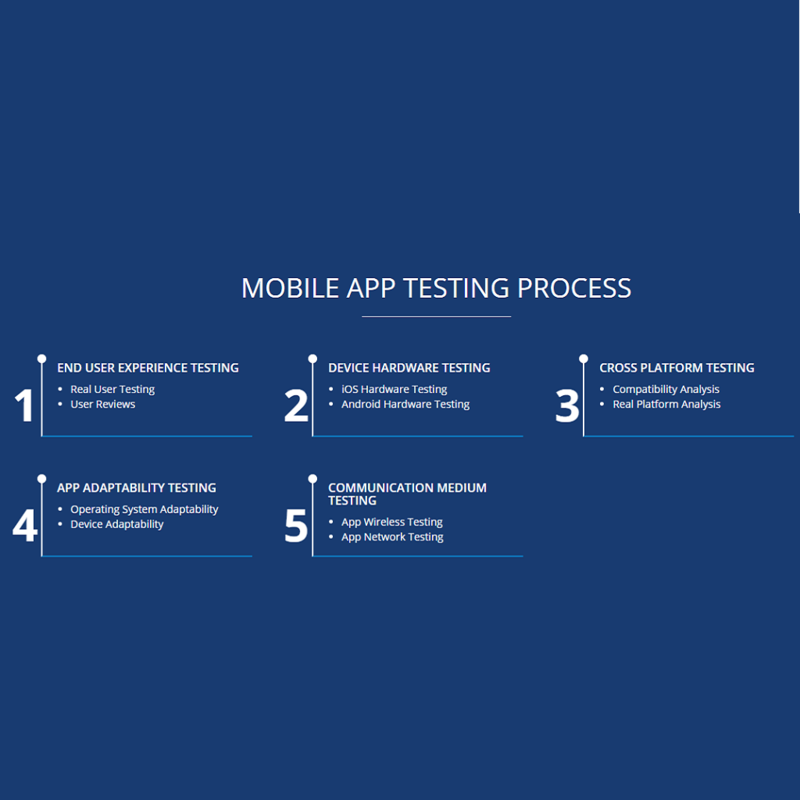 Why Mobile App Testing? Mobile app testing is for every firm to maintain performance and quality of any developed app across all available devices. Mobile app testing reduce the length of time, which an app takes to be available for sale in market. User’s will always keep on using an app, which is consistently tested out. App testing enhance overall app quality by identifying all possible performance and security bottlenecks. We verify your mobile app’s bandwidth and hardware requirements, plus validate optimal response times under different load levels & scenarios. Our Automation engineers can provide scalable frameworks for your mobile apps; the framework grows as your app does! We have extensive experience in Education, Retail, Government, Media & Financial sector. As a Mobile APP testing services firm we helped many of our Fortune 1000 clients with App testing script development. As compared to other mobile application testing services Provider Company, at BlackHatWing, we believe that Simulators and Emulators are not the substitutes to real users. These users can be grouchy within seconds and switch over to your competitors website with a single click or ask Siri to do it for them! Why Security Testing? Gartner reports that 75% of breaches are caused by security flaws in application software. According to NIST, 92% of vulnerabilities are in applications software. Recent attacks on tech heavyweights indicate that the traditional security approach is simply not working. Every thriving business is concerned and wants to improve their security infrastructure. But it’s easier said than done. A less vulnerable or secure system will be less prone to hack attacks thus enhancing in business continuity. Creates opportunity to evaluate current security posture and investment. We offer an in-depth automated and manual security assessment & code review service to highlight security vulnerabilities in software applications. Our security experts are experienced, certified, and use latest proprietary tools from HP, IBM, McAfee and Symantec to run our security testing processes. We have extensive experience of security testing for Education, Retail, Government, Media & Financial sector. 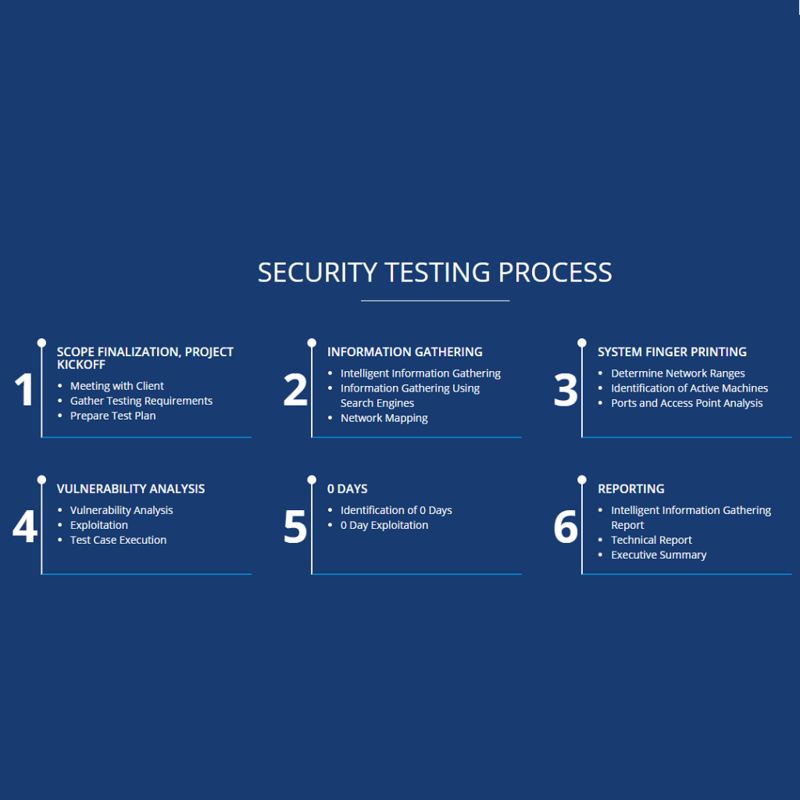 As a security testing company we helped many of our Fortune 1000 clients with security testing script preparation and their resourceful implementation. We offer a broad range of security assessment and penetration testing services that includes Web Application Penetration Testing, Mobile Application Penetration Testing, Infrastructure Security Assessments, Physical Security Assessments, Voice Over IP Penetration Testing and Social Engineering.